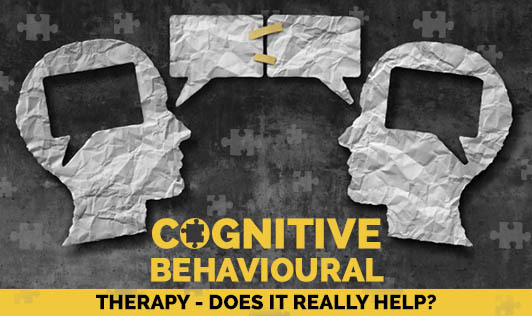 Cognitive Behavioural Therapy- Does it really help? The fear of not being able to meet your boss’s expectations, balancing your work and personal life, constantly worrying about the future, unable to meet yours and as well your family’s needs can be a daunting task. If you ever feel that you’re unable to manage an area of your life and feel helpless, maybe it’s about time to see a cognitive behavioural therapist who may be able to help you deal with and see things with a different perspective. Cognitive-behavioural therapy is a type of psychotherapy (talking treatment) which does not dwell on the events in your past; instead it deals with the here and now- the way in which your current thoughts and behaviours are affecting you. Although it is different from counselling, the CBT therapist will support you and empathise with you while keeping the course of therapy structured, problem-focussed and practical. CBT helps clients to make sense of their problems by breaking them into smaller parts, thus making it easier to understand how they are connected and how they affect you. The problem is broken down into the following aspects/parts, through which the CBT therapist helps you cope with the issue. The way in which you perceive and think of a problem can affect you physically and emotionally and each of these areas can affect others as well.